We are very excited that tomorrow Miami Fashion Week (MIAFW), will return to South Florida tomorrow, May 30 to Sunday, June 3, 2018 to debut the 2019 resort collections of established and emerging international designers. 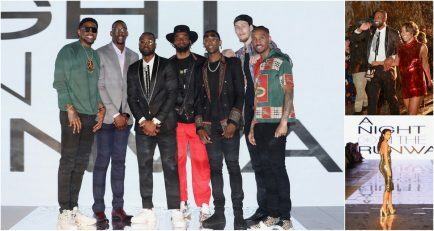 With dates officially recognized by the Council of Fashion Designers of America’s Fashion Calendar (CFDA) alongside New York, London, Paris and Milan, the fashion week plays an integral role in the industry by continuing to be the first international platform for the resort season to an audience of A-list celebrities, global influencers and fashion leaders. Miami Fashion Week takes over the city! Designer, Ágatha Ruiz De La Prada at MIAFW 2017. Credit: Humberto Vidal. MIAFW will kick off on Wednesday, May 30 at Miami’s newest fashion, dining and entertainment epicenter, Brickell City Centre (BCC) with a press conference at EAST, Miami, the official hotel sponsor. Festivities also include a cocktail reception at BCC’s Saks Fifth Avenue and an exclusive runway show by Venezuelan-born designer Oscar Carvallo. Selective runway shows return to Ice Palace Studios (59 NW 14th St, Miami, FL 33136), situated behind white, fortress-like walls and surrounded by immaculately manicured gardens from 5 – 8 p.m. Designer Custo Barcelona at MIAFW 2017. Credit: Humberto Vidal. 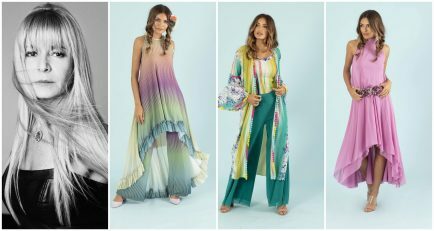 Capitalizing on the city’s vacation allure, star-studded designers Custo Barcelona, Ángel Sánchez, Ágatha Ruiz De La Prada, RENE by RR, Shantall Lacayo, Benito Santos, among others will debut exclusive collections created solely for the 2019 season. 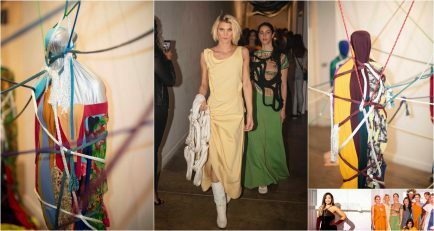 As part of the third annual fashion week, Colombia will be the guest country this year featuring an exclusive runway show with acclaimed designers Daniella Batlle, Carolina Estefan and Lina Cantillo. Designer, Ángel Sánchez at MIAFW 2017. Credit: Humberto Vidal. In collaboration with the Miami Fashion Institute at Miami Dade College and the Knight Foundation Fund at The Miami Foundation, MIAFW will debut Miami Fashion Week Summit, a series that will run parallel to each day’s runway shows from 10 a.m. – 1 p.m. in Miami Dade College Wolfson Campus’ auditorium (300 NE 2nd Ave. Miami, FL 33132) to focus on the fashion industry’s sustainable and ethical issues. Hosted by fashion model and entrepreneur Valeria Mazza, the program will showcase top fashion experts Kavita Parmar, founder of The IOU Project; Carry Somers, founder of Fashion Revolution; Javier Goyeneche, founder and president of ECOALF; Sass Brown, founding dean of Dubai Institute of Design and Innovation; and more, to empower the next generation of fashion aficionados. Starting at $40, guests can purchase tickets here. Antonio Banderas will be in town! 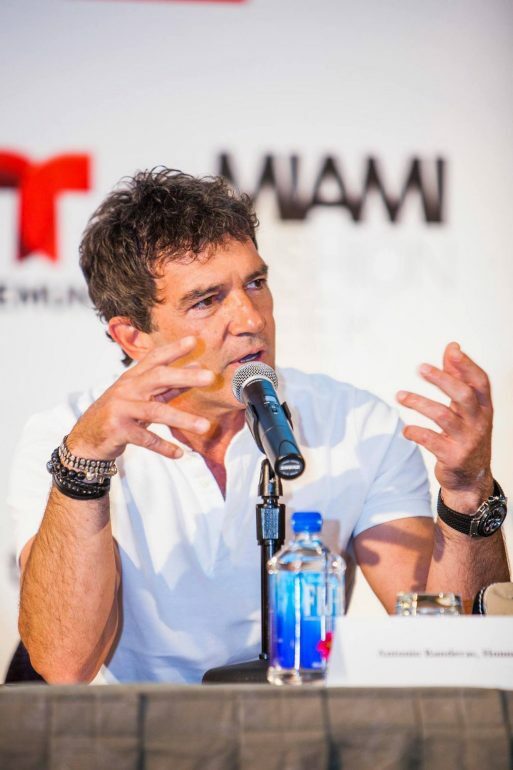 MIAFW’s honorary president, Antonio Banderas, will return to Miami and infuse his passion, style and prestige to host exclusive events. As the Magic City continues to thrive in the fashion scene, Banderas alongside the MIAFW team will deliver high-caliber series, runway shows, after parties and exclusive pop-up events. Sponsors include Lexus, Twitter, Univision and ProColombia. 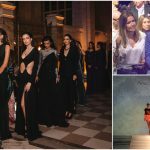 Additionally, MIAFW will host an exclusive Miami Fashion Week Benefit Gala Hosted by Antonio Banderas supporting Nicklaus Children’s Hospital Foundation and his own foundation, Fundación Lágrimas y Favores on Friday, June 1 at 8 p.m. Held at the Alfred I. DuPont Building (169 E Flagler Street #5, Miami, FL 33131). The annual event will feature a sit-down dinner, live entertainment, live auction and, of course, fashion. Starting at $500, guests can purchase tickets here. I love Agatha Ruiz de la Prada. Amazing, eye catchy, unique and colorful collections! I’m interested to attend the show. Please let me know how can I participate? I feel myself lucky to witness so many big names, especially Custo Barcelona and Ágatha Ruiz De La Prada. Fantastic event! My favorite designer is Angel Sanchez. He dress sense always inspires me. Fabulous designs and the whole collection touched my heart! Hi. Monika. Sorry I didn’t answer before, I didn’t see your post but actually I am Venezuelan and off course we love Angel Sanchez and his elegant designs are to die for! We are very proud of him as a designer. Agatha Ruiz de la Prada has to offer some exclusive designs for almost every season. I love their perfume collection. I agree, Dora. She is a great designer!